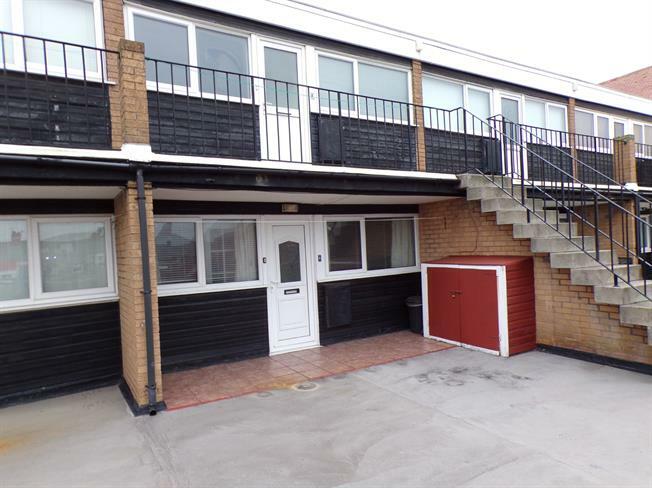 1 Bedroom Flat For Sale in Blackpool for Asking Price £46,000. FEATURED IN THE BIG OPEN HOUSE 27th & 28th April 2019, please call for viewing arrangements. A one bedroom first floor apartment that offers good size accommodation throughout and would make an ideal first time buy/investment opportunity with some updating works required. The accommodation comprises of a both a good size living room and double bedroom with fitted sliding door wardrobes, fitted kitchen and three piece bathroom. The property benefits from UPVC Double glazing, economy seven heating and a communal roof terrace and a secure private car park to the rear of the apartment. To be sold with no onward chain, viewing recommended. UPVC double glazed door. Laminate flooring. Double glazed uPVC window facing the rear. Laminate flooring. Fitted and wall and base units, stainless steel sink, integrated, electric oven, integrated, electric hob, overhead extractor, space for washing machine. Double glazed window facing the front. Storage heater, carpeted flooring. Double glazed uPVC window facing the rear. Storage heater, carpeted flooring, sliding door wardrobe. Double glazed uPVC window facing the front. Carpeted flooring, built-in storage cupboard, tiled walls. Low level WC, single enclosure shower, wash hand basin. Carpeted flooring, sliding door wardrobe. There is communal roof terrace to the rear of the property along with a secure private car park.